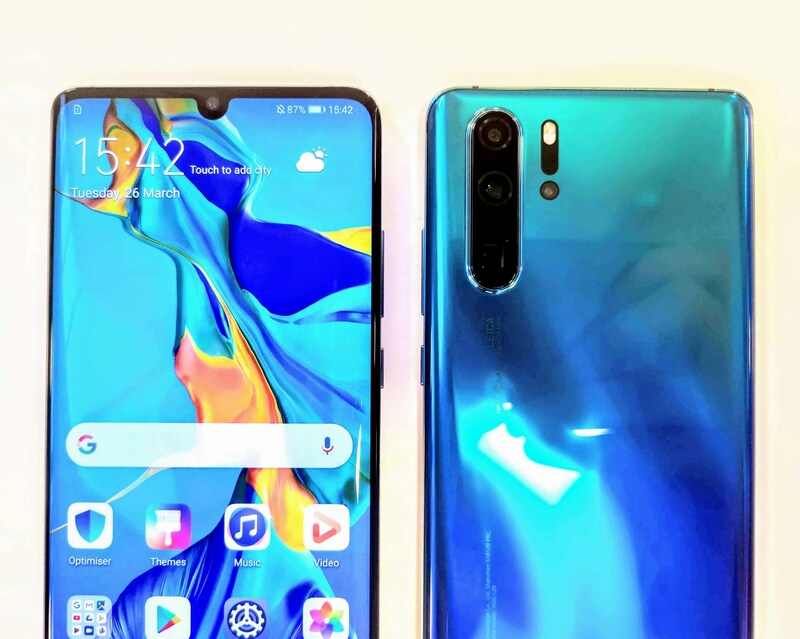 Huawei has just unveiled their latest flagship device in their P series in the form of the P30 and P30 Pro but we were lucky enough to get some hands-on time with the device earlier in the month at a special hands-on preview event in Amsterdam. 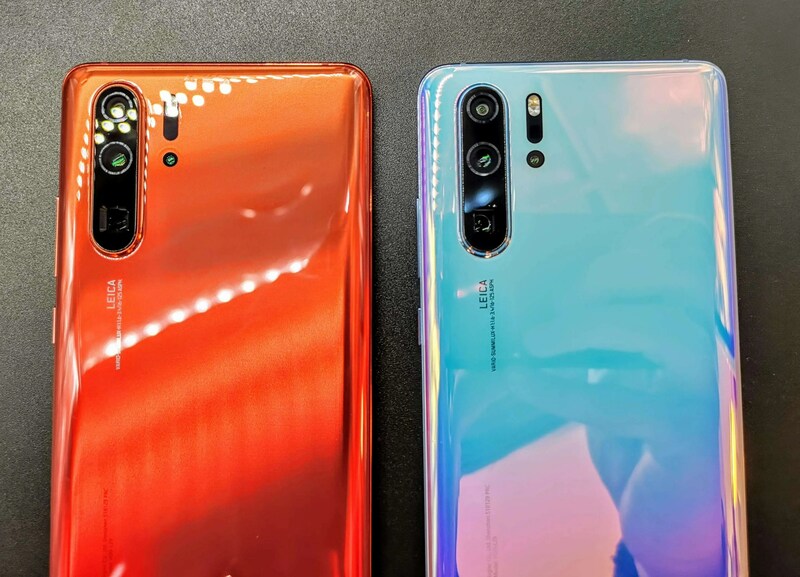 Last year’s P20 and P20 Pro really launched Huawei and, more importantly, their smartphone camera credentials into another league so can these new handsets keep the upward momentum going? Read on to find out. 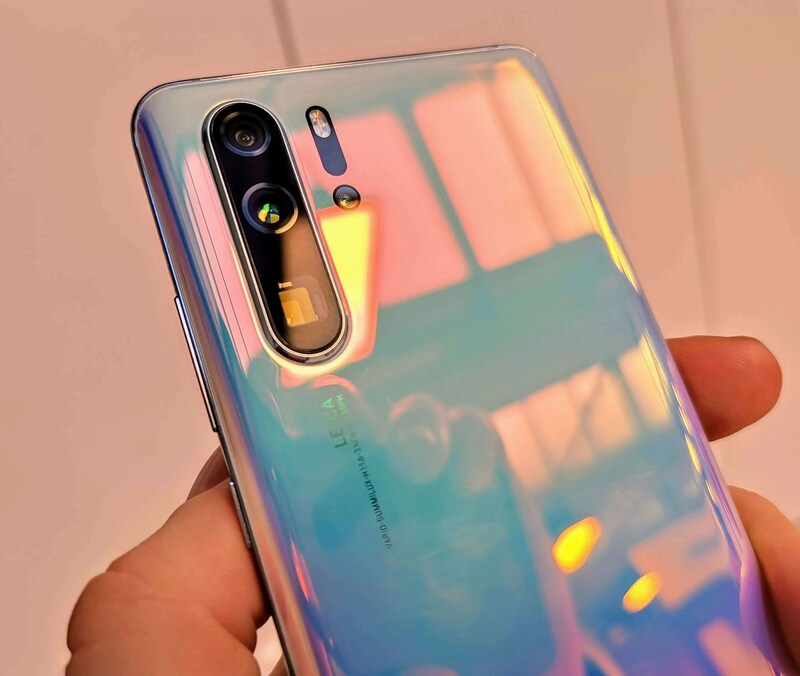 For our preview time in Amsterdam and like today’s presentation, Huawei first ran us through the key upgrades you can expect on the new P30 Pro over last year’s model, focusing particularly on the the new camera sensor array on the back of the device. After the briefing, we were given proper hands on time with the new handset, both in a studio style environment and also along the canals of Amsterdam in a canal boat which was a great way to test out everything we’d just been told about the new camera. 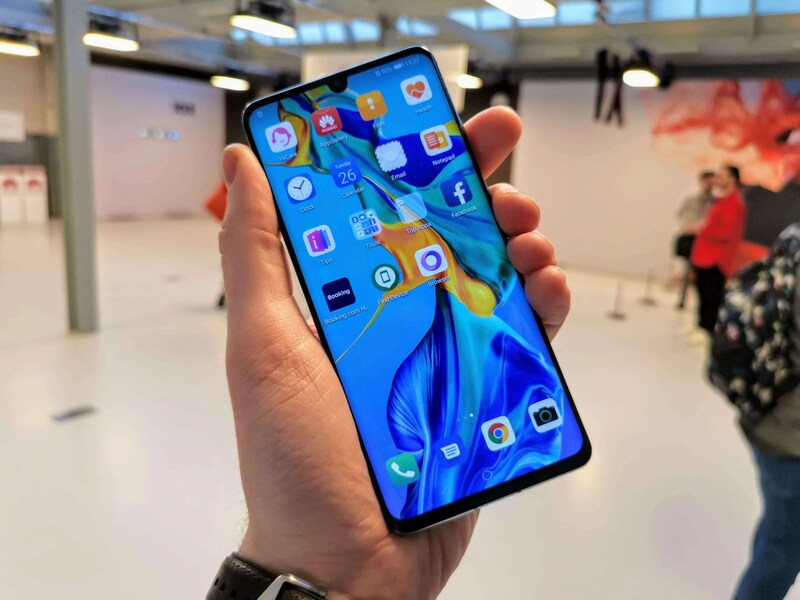 On first impressions and not surprisingly, the Huawei P30 Pro (which was the device we played with for the majority of the event) felt fantastic in the hand. With an evolved design over last year’s P20 Pro handset, the new P30 Pro has an increase screen size of 6.47″ and now has its fingerprint sensor built into the display, much like last year’s Mate 20 Pro. 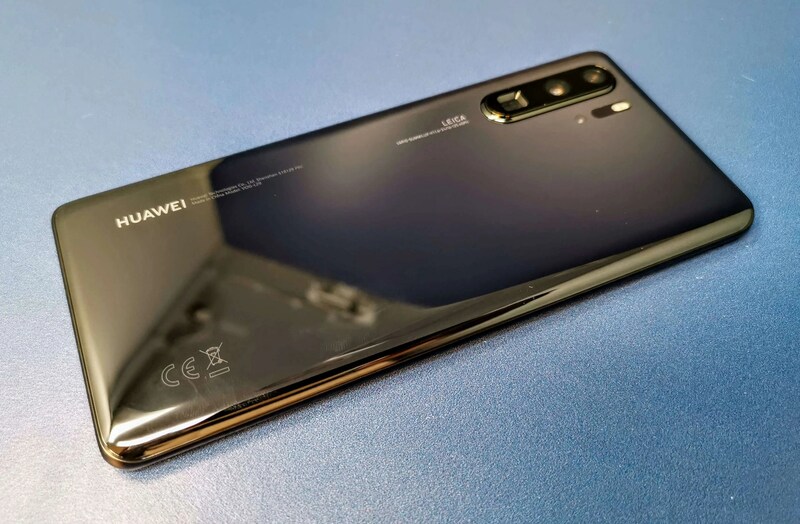 We were told that Huawei have improved the optical scanning technology implemented in this device and should be faster than what’s in the Mate 20 Pro but we didn’t get enough time to test it out properly. Another cool new feature is how the front facing speaker/earpiece is implemented. Much like LG’s G8 handset, the new P30 Pro’s display actually vibrates like a speaker for when you’re taking calls and also acts a a speaker to offer users a Dolby Atmos tuned stereo speaker set up which is pretty cool. Again, this wasn’t something that was fully functioning on the units we got to test out but we’ll be sure to give it a full rundown in our full review. Like the Huawei Mate 20 Pro from last year, the new P30 Pro will also support 40W super fast charging and wireless quick charge up to 15W. It’s also packing a 4200mAh battery which, paired with the slightly lower res 1080p HD+ display, should mean this new device should last two full days of decent amounts of use easily. The smaller P30 will come with an understandably smaller 3650mAh battery which is still quite a large capacity when compared to the likes of the iPhone XS’s 2658mAh battery. Now, this is where things got really interesting. 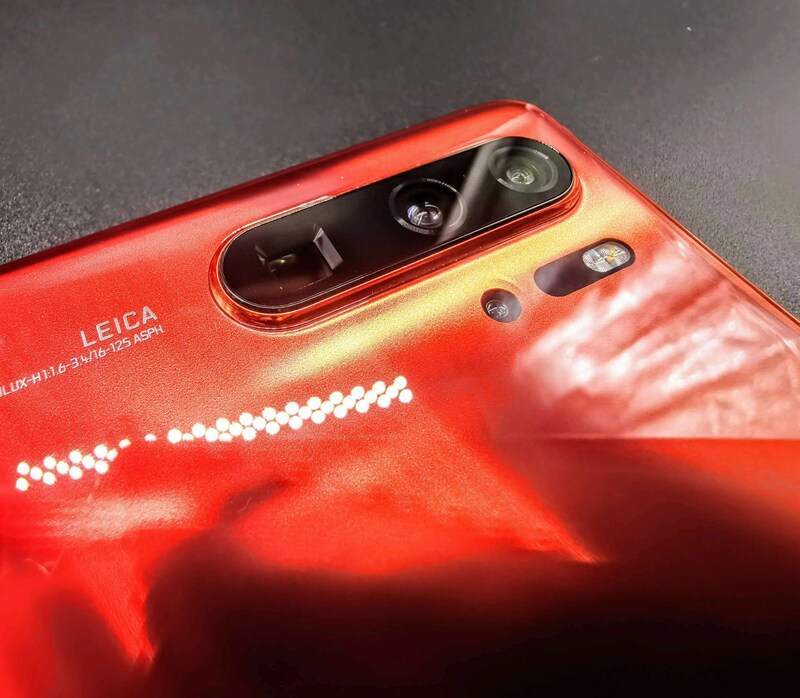 Like we said at the start of this piece, Huawei really blew a lot of its competitors out of the water when it launch last year’s P20 Pro when it came to night time photography, zooming capabilities and overall picture quality, so much so, it ranked at the top of DXO Mark’s smartphone camera leader board. 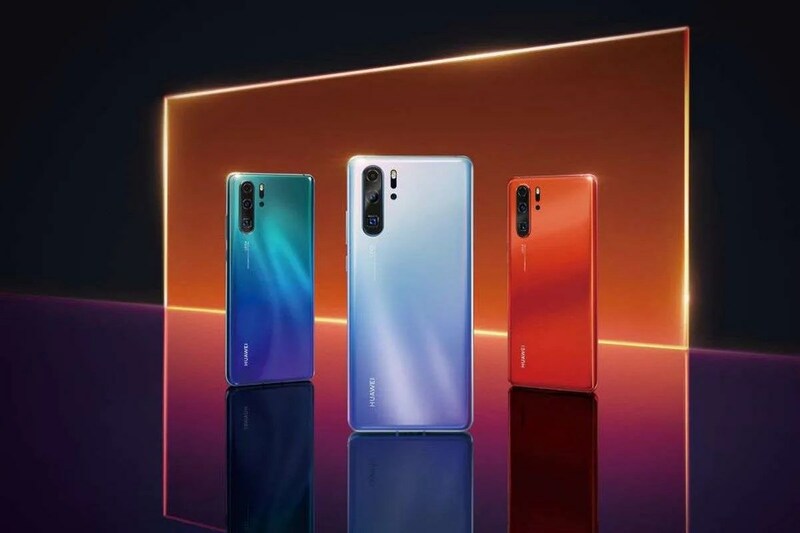 With the new P30 Pro, Huawei have implemented an innovative new ‘periscope-style’ sensor which allows for 5x optical zoom, 10x loseless zoom (which combines information from all three sensors to help retain very high levels of image quality) and a crazy 50x digital zoom. This new telephoto lens also has OIS which really helps keep those long distance photos clear and sharp. Huawei had set up a testing zone at the event to play with the newly zooming capabilities of the handset and we were blown away by how much detail could be captured at the various zooming levels, even as high up as the 50x digital zoom. Unfortunately, we weren’t able to take images off the device but we’ll soon have our full review live on the site. Huawei have also significantly updated the low light and video capabilities of the handset and have increased the ISO to a staggering 409,600. To put this into context, the iPhone XS has an ISO of just 2304 so there’s no other phone on the market that can take better, more natural looking low light photos. We got to test the feature out in an incredibly dark room with only the tiniest bit of external light coming in and the level of detail this new camera set up was able to capture was incredible. This low light improvement is also meant to improve the low light video capturing abilities of the handset but we didn’t get to test this out fully. Again, we were unable to take sample photos of the demo devices but we’ll be sure to add comparison shots between the Huawei Mate 20 Pro’s low light capabilities and the new P30 Pro to our full review. 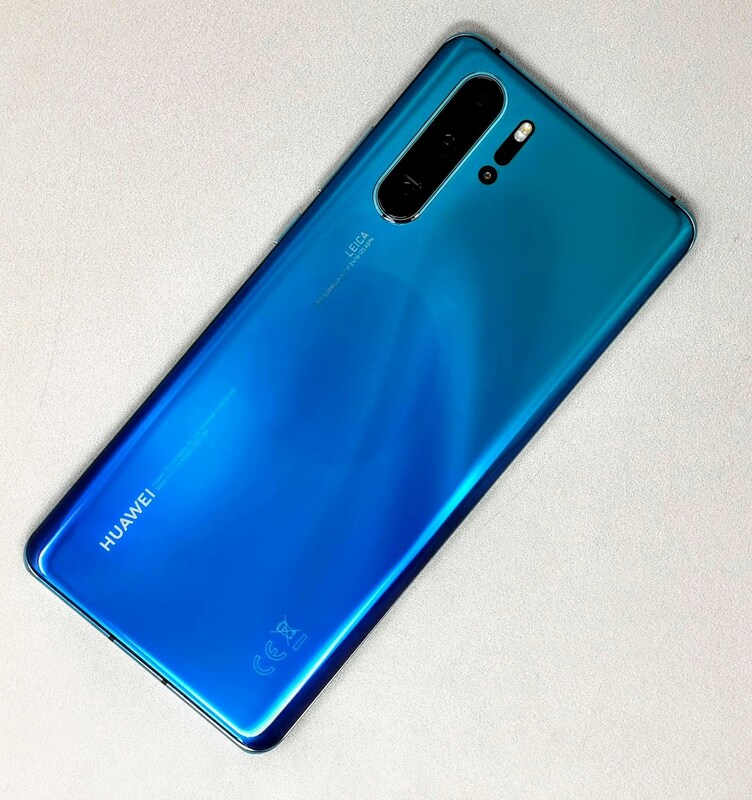 Huawei have also included a 4th ‘camera’ in the form of a ‘Time of Flight’ or TOF sensor which helps to analyse the depth in images with more clarity and significantly improves the bokeh or ‘blurred background’ effect of portrait images. It uses this new sensor to help vary the levels of blur in the image going by the distance people, objects and environments are from the camera. The unit we got to play with was in the new ‘Breathing Crystal’ colour which we’re fans of but we’re told that the flagship colour for the device will be the ‘Pearl White’ finish which transitions to light blue and purple/lilac tones when twisted and titled under the light. Pricing varies by operator and tariff. SIM FREE pricing is for Dual SIM stock through Harvey Norman. P30 series will be on sale in Ireland in the following colours; P30Pro in Black & Breathing Crystal. P30 in Black, Breathing Crystal and Aurora (as exclusive in Carphone Warehouse). In addition, any pre-order of a P30 Pro or P30 between 26.03.19 and 04.04.19 (23.59) will allow the buyer to redeem a FREE Sonas Speaker worth €229. Alternatively if you purchase either of the two new devices in retail stores on 05.04.19 you can also redeem a the same FREE Sonas Speaker worth €229. and we’ll have our full review of the new Huawei P30 Pro live on the site very soon.